Speech is the universal means of oral communication. It distinguishes humans from the rest of the animal kingdom. Speech (not writing) is considered by linguists as the primary material for study. German, Italian, French, Spanish, are all varieties of European languages. Legal, religious, medical, and technical language are all varieties of spoken occupational jargon. There are many varieties of spoken language, many of which are used even on an individual basis. Speech is innately acquired — unlike writing, which is a skill which has to be learned. Speech is used constantly by everyone for a variety of functions, from the passing of information to the sharing of emotions. There are no designated human speech organs, but respiratory and digestive organs are adapted to produce speech. The pharynx is purely the sound box, shared by other animal species, primarily designed to produce mating, warning, and herding calls. Speech and writing are two separate systems and an individual’s linguistic competence depends on the ability to make a clear distinction between the two. NB! In linguistic study, speech is primary. 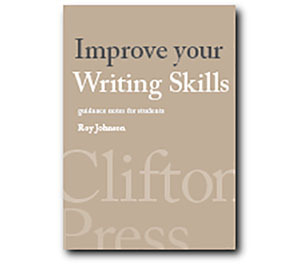 Speech normally contains hesitations, repetitions, and grammatical ‘errors’. It contains lots of ‘ums’ and ers’, and all sorts of sounds which have no connection with writing as a means of communication. Speech is normally accompanied by many other non-verbal features which affect communication — such as intonation and stress, facial expressions, physical gestures, and even bodily posture. In the study of language, speech is considered primary and as a system which is entirely separate from writing. Children who are learning to write often confuse the two. They produce a written form of speech. Maturity is demonstrated by the ability to use a literary style which is completely discrete and separate from speech. Humans acquire speech due to their innate programming. Writing on the other hand is a skill which must be learnt in the same way as driving, sewing, or cooking. There are still some societies in the world which have no written form of language, but which depend entirely on speech. Sign language, among the profoundly hearing-impaired, is a system which can perform all that a spoken language can in terms of communication. In this case, the hands are adapted instead of respiratory and digestive organs in order to communicate. As far as Linguistics is concerned, there is no such thing as a primitive language. All languages are equal in potential, to perform any communication task required by its users. All children develop their ability to use language at approximately the same rate, despite the variations in nationality or circumstances. In the process of a child’s development, the acquisition of phonology, semantics and grammar progresses simultaneously. This continues until linguistic maturity is reached around the age of seven. After this, an individual’s linguistic competence varies according to training, environment, and perceived necessity. By the age of seven years all the phonological sounds of the language have been acquired.